Samsung Galaxy S5 is not part of the company’s plans with respect to the new Android 7.0 Nougat, but this doesn’t mean the tech giant won’t ensure that your aging phone has the latest security updates. After January’s Android Security Patches for the 2014 Samsung Galaxy S5 appeared for users of Sprint and Verizon Wireless in the U.S., the same is now happening for those in Europe. The update doesn’t bring any major new features to the phone, but according to the changelog, the update has fixes for bugs, critical vulnerabilities as well as performance improvements, among others. Like the version that rolled out to folks in the U.S. early in the week, this Galaxy S5 update is not heavy, weighing about 53.5MB and it is available as an over the air update (OTA). Due to this, not all S5 users across the continent will receive the OTA notification at the same time. In fact, it could take a few days before everyone finally gets the update downloaded and installed on their S5 handset. Alternatively, you can also do a manual check and see if the update is ready for downloading on your device. This can be done via Settings>About Device>Download Updates Manually. Do make sure that your phone has enough battery juice, at least 50%, before proceeding with this process. Otherwise, keep it connected to a power source the whole time. The update will bump the software version of the Galaxy S5 to G900FXXS1CQA9. Those in the west are not only receiving January’s Android Security Patch on Samsung Galaxy S5, it is also happening for Galaxy Note 4 and Note Edge as well. When this will happen for the latter devices in Europe is still unknown, but it shouldn’t be long. Also, note that the latest update has been spotted in the Netherlands, but it should make it to other regions very soon. 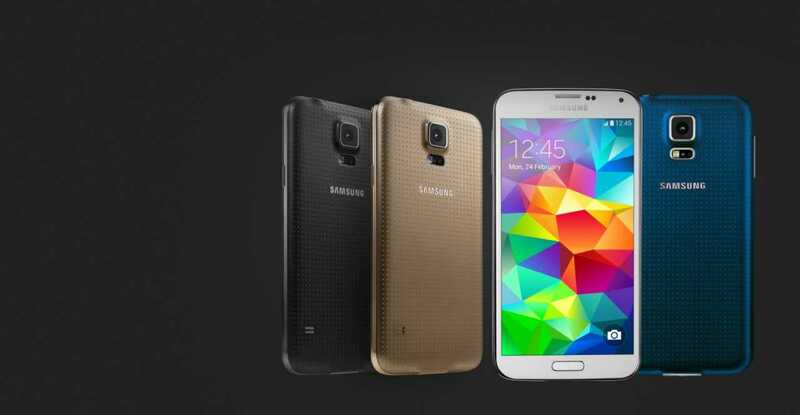 Have you received the latest Android Security Patch for the month of January on your Samsung Galaxy S5? Feel free to let us know via the comments below.